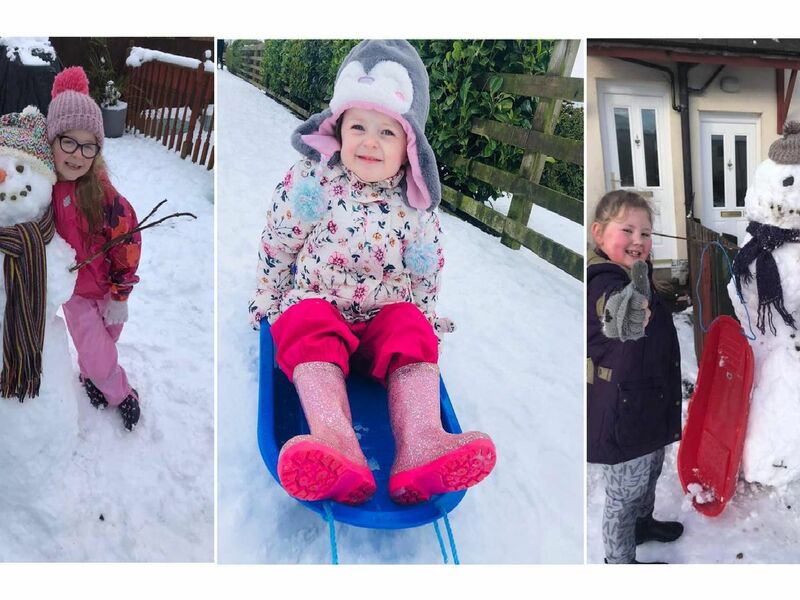 YOUR PICTURES: Snowman style and playing in the snow - you've certainly been making the most of the winter weather! Here we see a selection of your photos showing youngsters making some fabulous snowmen and just having lots of fun. Thanks for sending in such a great selection of images - we know our followers will enjoy them. Samantha Jane Suffield's picture of Lucas making snow angels and Ryan Waterhouse sent in a picture of Faye from Belford with her creation. Kathleen Ord's photo of Esmae with her snowman from down under in his sun hat and Jennifer Robinson sent us a picture of Leo and Lailie in Seahouses. Claire Allsop's pictures of Dylan, aged 3, with his snowman called Jeff.